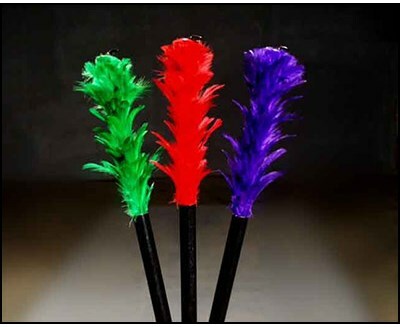 The magician displays a plume of colored feathers with a small handle at the bottom. With just a wave of his hand, the plume changes to a completely different color! With just another wave the plume changes back into its original color!